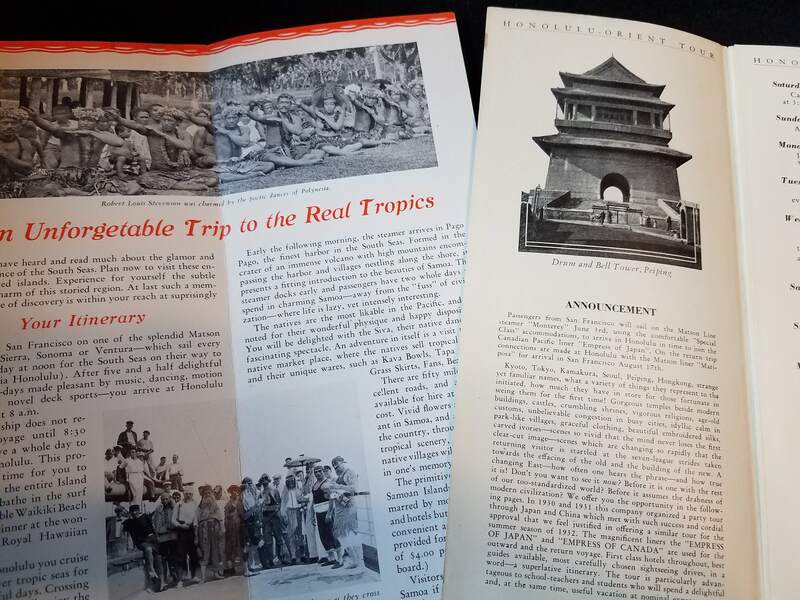 2 travel brochures from the 30s, each featuring Honolulu but each very different. 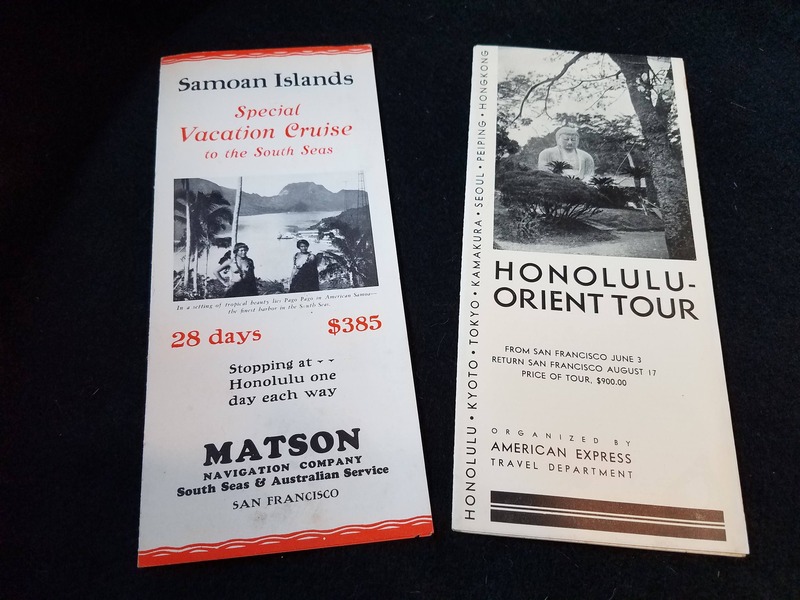 The first is for the Matson Navigation Company out of San Francisco, advertaising the Samoan Island cruise to the South Seas. For 28 days it was $385. It leaves San Francisco and goes to Australia via Honolulu. It also involves a "Neptune Ceremony where you are initiated as one of King Neptunes subjects. It goes to Pago Pago, Samoa, Fiji and back to Honolulu and San Francisco. The other is a Honolulu to the Orient Tour, leaving from San Francisco and is $900. It is organized by American Express. And it is also on the Matson Steamer Line.It goes from June 11 to Aug 11. Shanghai, Hong Kong, Japan, Seoul Korea, and much much more.